SELLER IS MOTIVATED! 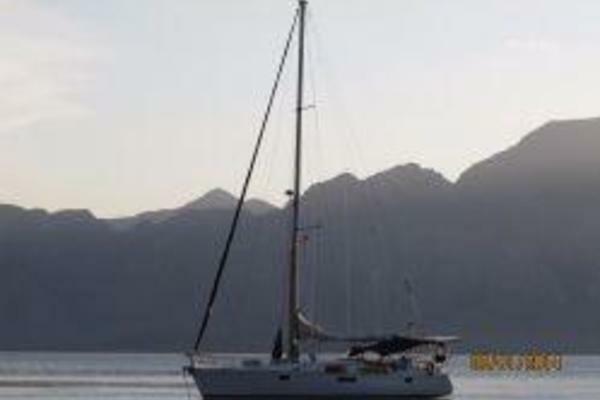 Carina is in very good condition and offers an optional cutter rig. She is well equipped including 2 Blade Max Prop, asymmetrical spinnkaker, NEW UK Passagemaker # 3 genoa, new autopilot and drive unit, Garmin 541-S chartplotter with current charts, NEW Icom-M506 VHF with Command Handset at hel, radar, Kato dinghy davits, reverse cycle AC and a 12-Volt keel cooled refrigration. Dinghy included. Main cabin with settee port and starboard (12,00 BTU rev. cycle A/C) Centerline dining table with folding leave.